Setting foot right on Amazon can be quite difficult. It has a current market cap of $390 billion which apparently is even more than the giant brick and mortar stores like Walmart; Best buy etc. 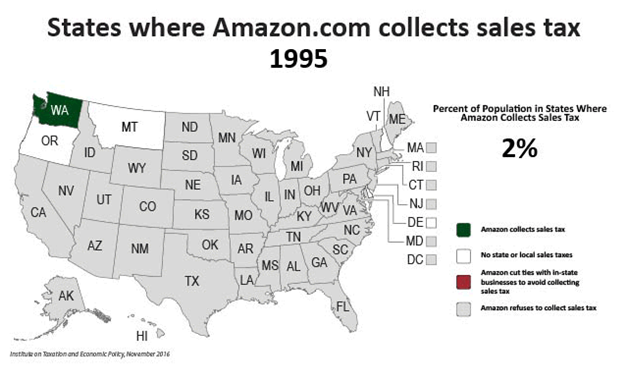 As these brick and mortar struggles, Amazon simultaneously is growing leaps and bounds. It comes as a no surprise that retailers are flocking towards Amazon to sell their products. However, as an Amazon sellers, there are thousands of thoughts that crosses your mind at least once a day. Is my listed item optimized and the pricing associated with it any better than my competitors. Am I missing out on something, suddenly it seems my opponents knows everything better than me? The best part about this anxiety is its awareness. Whether you are an FBA seller (Check the step by step guide for Amazon FBA here), an FBM, a multi-channel seller or a millionaire seller on Amazon optimizing your parts of the business will give you an edge. However while doing so, keep in mind these five things that will help you from sinking. At such instances, it does not matter if you are a big seller or not, what is important is that such blunders do mess up your margins. Hence it is crucial to go through the options for automating the sales tax collection within the Amazon Sellers Central tax setting. However, it’s not easy to comprehend the complex structure of the same; adhering to guidelines. 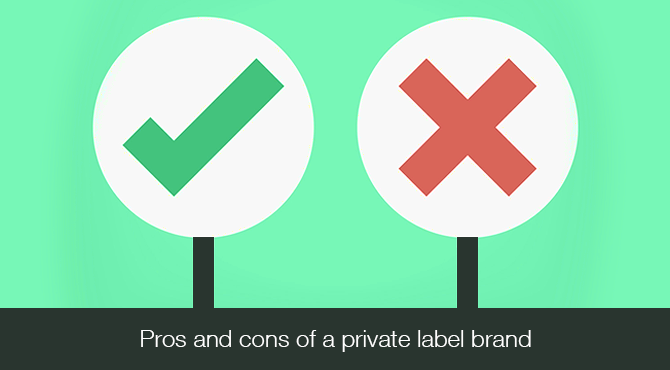 So, these are commonly observed mistakes you should look out for. Whenever you sign up for, do not miss out on filing “Tax Settings” in Seller Central even before making a sale. That way, you would be able to focus more on the productive part of the business without any year-end tax surprise. Also, remember you are expected to remit your sales tax payments, not Amazon. Amazon Fees- The Amazon commission fees work on the percentage of sales price, though they do have a minimum fee policy. This minimum fee system hits your logic hard. If you are selling an item with the fewer selling price, the minimum charge will affect your most of sales price. Also, if you are up for being FBA seller, you’re going to pay to Amazon for finding your product to shipping it. Though this services to come with the fixed prices, it won’t matter how you price your item. To cover up this, you need to have steady sales. Do not get sell products of less than $10. It might happen that the sale of a low-cost product, you won’t earn a penny and end up paying Amazon a lot. The Amazon Buy Box is the white box seen on the right side of the detailed product page where customers can add products for buying directly to cart. However, not every seller is eligible for the buy box due to an immense competition. The seller with excellent seller metrics is likely to win this Box. Now, let me tell you why is it so important for you? 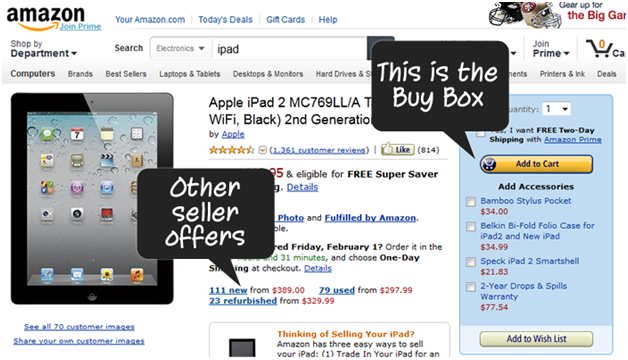 82% of Amazon’ sales pass through the Amazon Buy Box, and it’s even higher for Mobile purchases. It is crucial to comprehend the way Amazon’s algorithm functions and how will it let you increase your performance on relevant variables, thereby increasing your chance to win Buy Box. However, there is a common misconception that having low product price increases your chance of winning Buy box. While it can’t be overlooked that low prices give you a competitive advantage, it is also true that it doesn’t offer great sales result. The art is in pricing your product keeping in mind other seller’s performance. Amazon is an extensively customer centric platform. It offers an open platform to customers where they can voice out their opinion strongly which may at times adversely affect your product. Poor reviews can send out all sort of wrong signals leading to mistrust and loss of sales for you. However, the fear of poor reviews shouldn’t stop you from asking them for feedback. More and More buyers are now turning to each other for honest feedback. 92% of consumers now read online reviews vs. 88% in 2014. It’s part of how customers buy. Even now if you are not leveraging the customer review, you are missing out on a very insightful data about purchasing decision. The best way to make the most of this feature is to ask for it directly. Amazon takes it customer’s pretty seriously, and they too know it. If at anytime you get feedback that is irrelevant or unfair, Amazon will help you out by removing it from you. So drop your worries for that! Always remind your customer to leave feedback once they get their order. Do your best to be proactive with their clients, and do everything you can to manage disagreements and complaints. Hence, for minimum risk mitigation keep above suggestions in mind and take whatever proactive steps you can for your business and customer satisfaction. Getting your sales operation as automated and smoothly-running as possible should be priority one for every seller. Amazon seller notification, pay approval fee? Devarshi is an enthusiastic writer, active twitterati and educator offering creative content for effective e-commerce marketing and strategies. She brings along her experience in extensive research and branding. A passionate writer by day and an avid reader by night she packages for a blend of technical and creative write-ups.